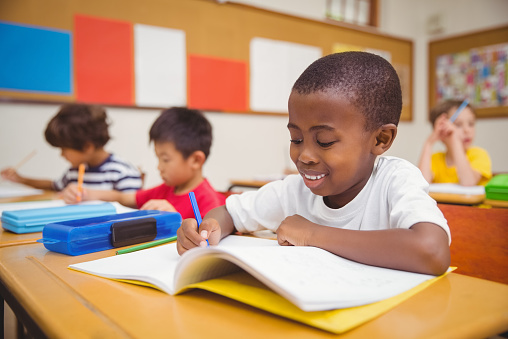 While the jury may still be out regarding the importance of teaching handwriting/penmanship, from where I sit, it isn’t something we want to leave out of our teaching repertoire. Though some might think the time needed to develop fluent handwriting would best be spent teaching keyboarding skills, I would contend that there is room for both. And, since keyboarding skills are now a current part of many curricula, it’s the handwriting skill that seems to get left by the wayside. As a former primary school teacher, I knew that basic letter recognition, formation, and sound-association were an absolute must for my first and second graders. But, even then, I didn’t understand the neurological underpinnings that learning handwriting has. First of all, I never truly considered what the brain and hand were doing while handwriting practice was conducted. To be honest, at first, I just used handwriting practice as a time-filling seatwork activity that allowed me the time take care of a few morning teacher tasks. With experience, I began to give the handwriting practice time its due diligence. I started noticing that students developed a much stronger sense of directionality—writing left to right. I also found that students grasped the concept of “return-sweep” when they got to the end of a baseline and had to continue to the far left of the next base line on their handwriting paper. Why did that matter? Well, it had an impact on their ability to “return-sweep” when READING, too. Hmmm…go figure! I didn’t know this when I started teaching early reading, but some young students sort of fell off the face of the planet when they arrived at the end of a line of text they were reading. Amazingly, some students don’t naturally understand that they have to go back to the far left of the next line in order to continue reading fluently. 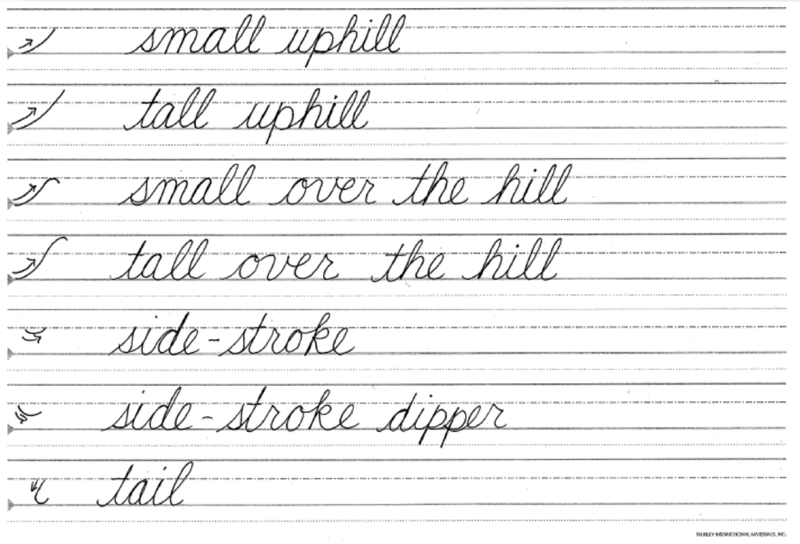 If you are of the same school as thought as I am, then try adopting these basic handwriting practice strokes into your kids’ daily agendas, along with some meaningful copy work, such as short poems, scriptures, or famous quotes, and you will be doing your child a great service for now and in the future.